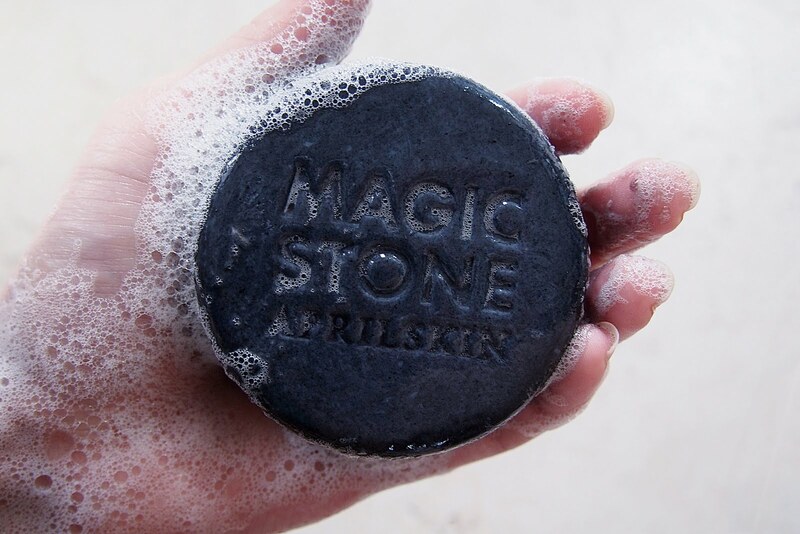 Is April Skin Magic Stone Soap really worth the rave? I've started using it the second week of February and it's still a part of my regimen up to this day. As early as now I'll tell you that I'm still 50/50 with the soap. I still can't decide whether I like/love it even though I've already used it for over two months. It also took me that long to review the soap because I didn't want to judge it only on my first impression but rather see it's effect on my skin after a period of time. I do think it was a bit overhyped but still, it does have some good points. 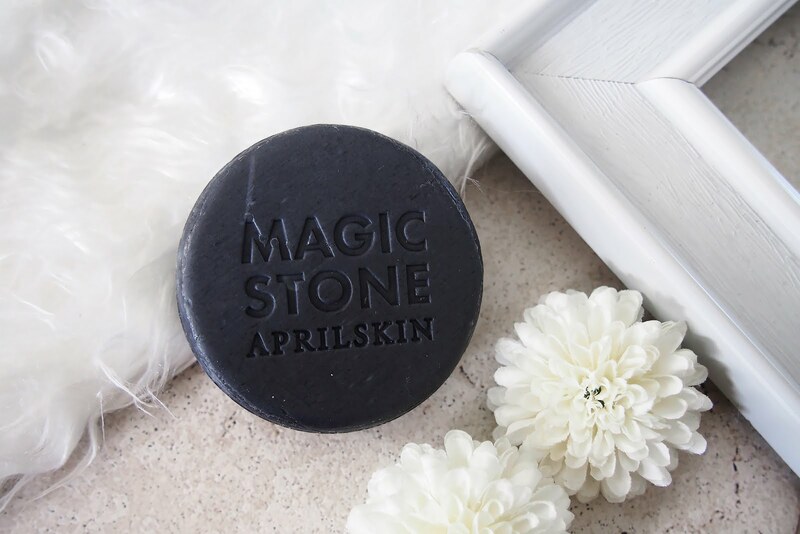 April Skin Magic Stone comes in two different types Original & Black which is best used together but I only have the Black one. 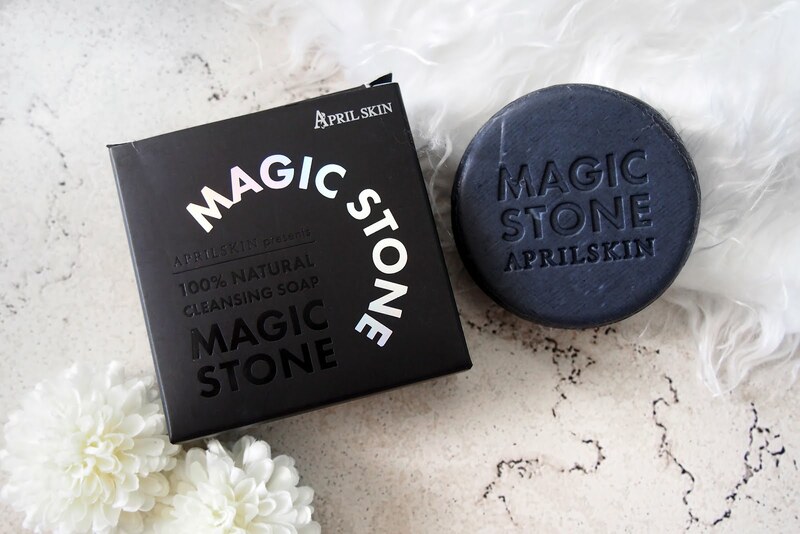 Magic Stone Black is to be used for morning or second cleansing while the Original one is to be used for night cleansing. Both soaps are said to be mild, natural, organic and suitable for all skin types. First is to create a foamy lather to massage the stone soap over wet face then leave the foam on the face for 30 sec before rinsing with lukewarm water. I think the soap got too popular and hyped that I have set my expectations high but come to think of it, I didn't really know what to expect. Lol. Probably the reason why I was half-hearted with the soap is because I expected too much but then I didn't get a spectacular result. It didn't have that wow-effect. The Magic Stone was bought in Althea for P310. I'm not sure if that would be pricey or not. I think I also got it at a little lower than the standard price as well but I still find the soap kind of expensive. Mehehe. I did divide the soap into 8 smaller pieces. For two months I've only used up to two cuts. I have the feeling the whole soap would actually last me 4-6 more months which is a good thing. I actually did my computation if I used it every day for 8 months then that means I'd spend only Php 1 a day. Not bad. 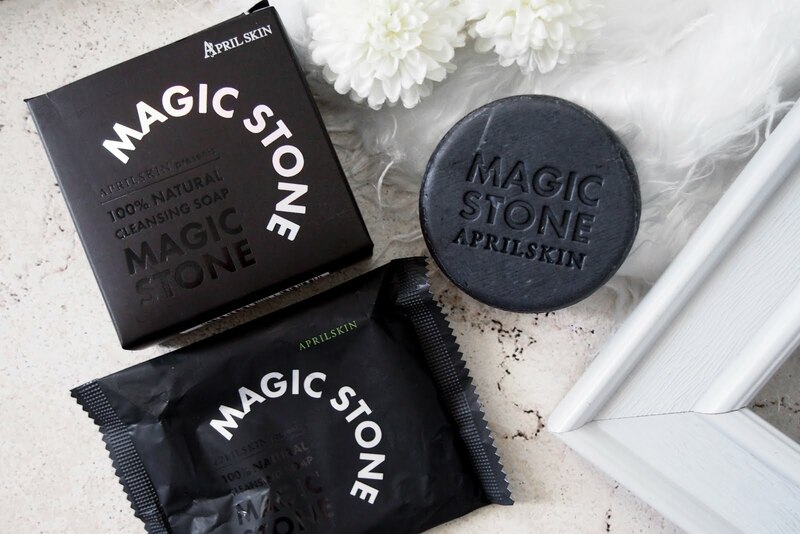 What I liked about April Skin Magic Stone soap is its packaging. 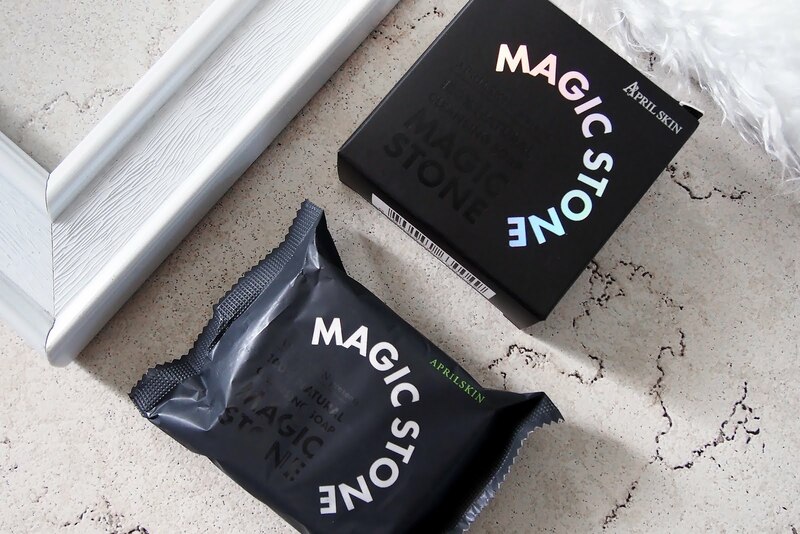 I love the black box with the holographic text of the word 'Magic Stone' in it, though I think they've changed the packaging as of writing this post. Next is the smell, I don't love it but I like it. Some people hated the smell of the Magic Stone soap but I'm okay with the sort of its herbal, natural scent. Also, what I noticed is every after wash of the Magic Stone made my skin looked like baby skin. It was soft, smooth and the pores were less visible. It toned down my redness which I am happy with but I wished it'd do more for clearing my acne. I had also tried this at night on my face with makeup on and it did remove the residue of my foundation since I could see the foam change to the color of my foundation. (Note: I didn't wear heavy makeup). Though I stuck to using it in the morning the moment I found out that it's meant to be used daytime, your still allowed to use it in the evening though. I think the soap does a pretty fair job on the face but I kind of hoped for something more. Btw, I didn't change my skin regimen and just added the magic stone to my morning cleansing routine just so when something improved or changed I would know that the work was done by the Magic Stone. The Verdict! I'd say April Skin Magic Stone Black is pretty average. 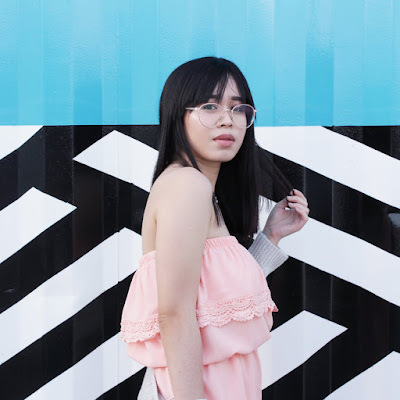 It still lived up to its smoothening promise as the texture of my skin improved because of it. Though it's not a miracle, all-in-one soap that will solve all the skin problems. It's also a little pricey for my pocket but if you have the money then go ahead and buy it. 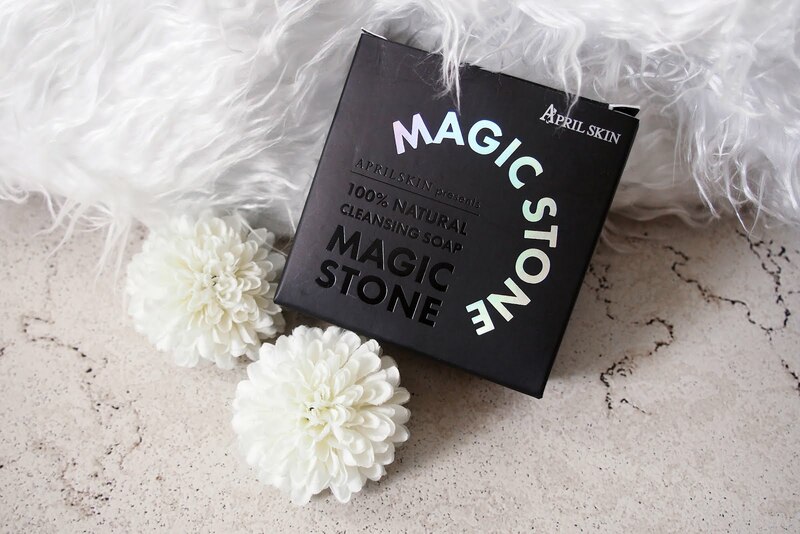 As for me, I have to try it together with its sister April Skin Magic Stone Original before I give my final decision to buy it again or not. Lastly, I've read some reviews of people who found the Magic Stone soap drying for their face so I guess it's not for all skin type and is best suited for those with oily skin like me. If you still want to try it and you have dry skin I suggest to leave the lather for less than 30 seconds so it won't come out as dry, but if it's still drying for you, just stop using it. Like other products, it either works for you or it's worse for you. For me, it somehow worked, and I'm happy it did.